Plenty of people tend to repair their vehicles by themselves. 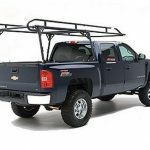 Actron Corporation makes their life easier, the mission of the corporation is to help clients save money and time through do-it-yourself vehicle repairs. This company is known as the best obd2 scanner manufacturer. You can easily and quickly scan the problem and spot the problematic components. Worth to mention that Actron devices are small, that makes them ideal for storage and use. You can easily fit them in your pocket while doing a car repair. Recently, the company has redesigned and upgraded their devices in order to do them more user-friendly and fix all errors. It doesn’t matter if you are experienced mechanic or just a beginner, the interface of the tool is pretty simple and intuitive. 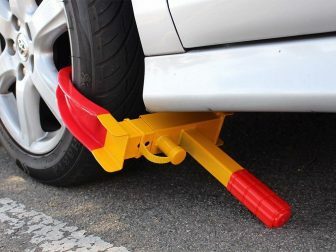 It will easily point out what is wrong with the car. There are lots of scanners available, so it can be difficult to distinguish the differences sometimes. 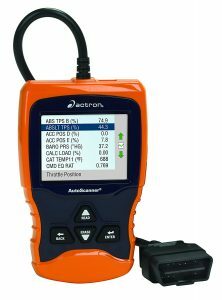 That’s why we are going to tell you about 5 best actron obd2 scanners to buy in 2017. The CP9680 is definitely not the budget one but there is an explanation for it. For a bit higher than an average price you will get a premium scanner that is full of useful features. For example, the first thing you will notice is the big and wide display. It makes the process of reading and navigation more comfortable. Buttons are well-protected, covered with rubber boots. 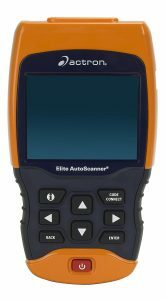 This device helps prioritize troubleshooting with the top reported fixes specific to the vehicle’s model, year and engine. By pressing the CodeConnect hotkey you are given the access to the database of over 26 million verified fixes. 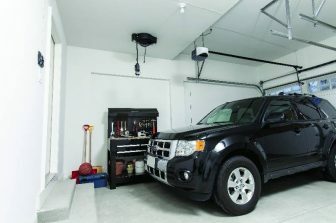 With this feature, the do-it-yourselfers technicians can do a car repair on a new level. 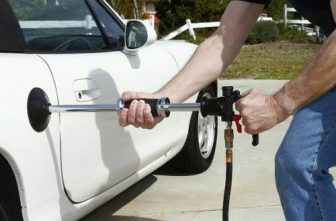 Especially, if you work mostly with modern cars, this tool will save you a great amount of money. Additionally, CP9680 is capable of actual printing data to PC. Overall, it is a great scanner that will work for a long time and is loaded with useful features. The second scanner in our list is more affordable nevertheless you find a lot of useful features such as live real-time data with a color screen in this decent device. Just imagine, you can monitor switch and relay inputs while a car is running. Furthermore, you will be surprised by the live data feature. It simplifies the car diagnosis, makes the process faster and more user-friendly. Talking about user experience, the interface is available in 3 languages – English, Spanish and French, as well, in the box you will find the manual in languages written above. Please, in case of question contact the Actron corporation, they have really good customer service. Overall, if you are a do-it-yourself type of driver then is a great deal for you, because it’s on the budget and displays basic information. However, if you are working as professional mechanics you should buy more expensive models. 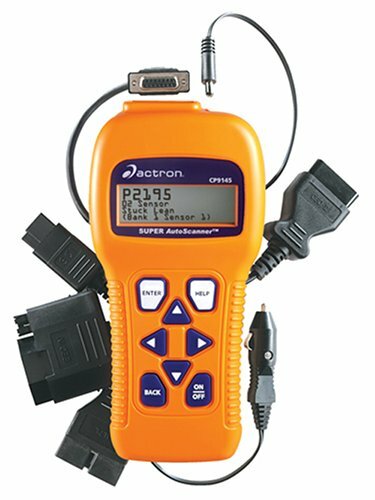 The Actron Cp9690 is very popular among professionals. 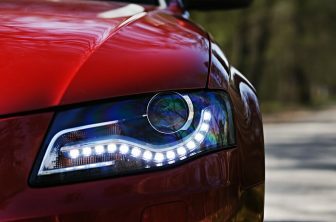 Basically, it is manufactured to satisfy needs of people that repair cars every day. 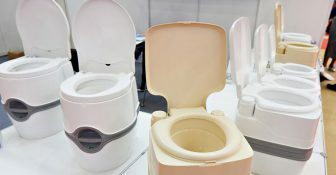 It offers all advanced features that they would dream about. As in the previous one, the display is big and a menu is available in 3 languages. 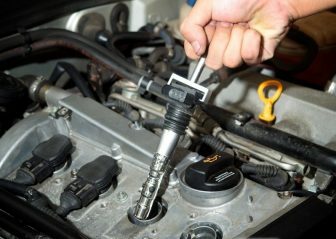 The CodeConnect function makes the life of mechanic easier and happier. With this feature, after scanning the vehicle you can connect to the huge database of millions of fixes that help you to find the most probable solution to the problem the scanner detects. Also, it is possible to record, playback and print reports with your PC will help you to see and share the physical picture of diagnosis and give it to your clients as a proof. 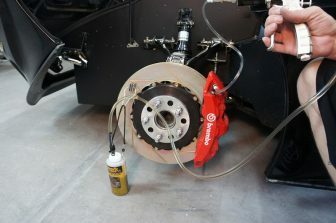 Consider buying this device if you spend a lot of your time working on fixing the vehicles, it seems like a great investment for the future. We recommend the CP9185 scanner to everyone who owns a car. Diagnosing with the CP9185 scanner is pretty simple. The list of the best repair places and prices you will get after the screening in case you do not want to repair the car by yourself. If you are ready to fix problems on your own the device will advise the best options. Even if you are not a professional mechanic the scanner will alert you that something is wrong and you can go to the car service and check it out. In the box, you will find scanner itself, OBD II Cable, USB Cable, 8-foot extension cable, and Manual/CD. You can easily upgrade this tool whenever a new update is available in order to diagnose the latest car models. In general, Actron CP9185 fits everyone, no matter if you use it every day for the different cars or just keep it for your own vehicle. The best scanner in our review is CP9125 Actron. Despite being very basic, CP9125 is very effective. Be sure that you have a good reference guide or Internet access because this scanner reads and erases the code numbers but you will have to check out what do they mean. The tool is very accurate, despite the fact that it fits in your pocket. The reader is small so you can keep it in the car along with jumper cables or car jack. It will save you a lot of trips to the car service, with this device you can quickly see what if wrong and then clear the error code without having to spend hundreds at the dealership. 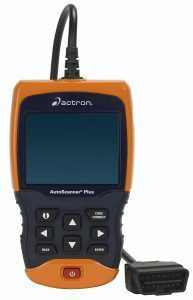 Generally, this Actron scanner is manufactured to check and understand why the engine light is on. If you need more advanced one, maybe, you should consider ordering more expensive scanners. However, we recommend buying the CP9125 if you have the budget to spare. 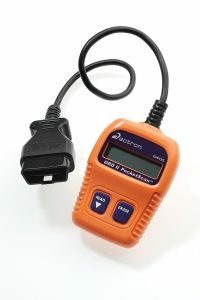 As you can see the Actron manufactures a wide variety of car scanners. They claim that all of the devices were designed with the user in mind. 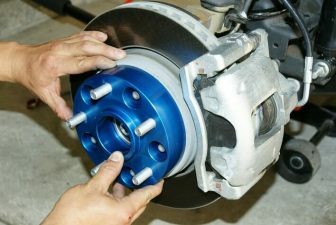 No matter if you work as a professional mechanic or just checking your own car from time to time, you will get as much information as you need to know about your car. Before ordering the obd2 scanner decide which of the features are crucial for you. Keep in mind that each tool is designed with a big screen, OBD II definitions/codes, OEM-specific definitions/codes and has improved vehicle coverage through 2013. More advanced and expensive scanners incorporate CodeConnect feature that gives you an access to the database of over 26 million verified fixes for the DTCs that cause the check engine, ABS and Airbag warning lights to illuminate. Having this access will save your time. Also if you go for more expensive scanners you will get the ability to graph and chart live data, update through a computer for newer vehicles in the future, freeze frame data and the ability to read OBD-I vehicles. Overall, if you just want to buy the car scanner to work on your own car, you do not need too many features. On the other hand, if you plan to work on the other cars, Actron advanced functionality will be extremely useful for you.